If we were going to look for the next line of treatment for symptoms of autism, broccoli sprout extract might not be very high on our list of remedies — until now. 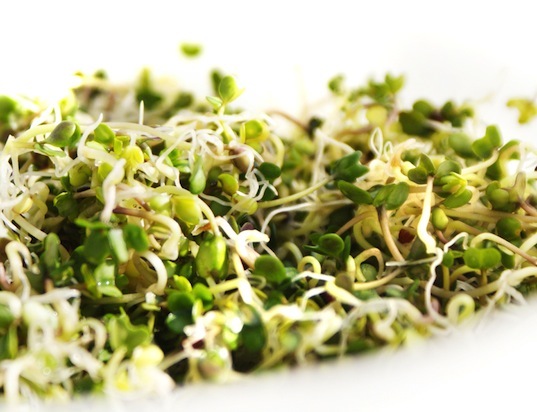 A small recent study that involved 40 men and boys with autism who were treated with broccoli sprout extract showed promising results and will lead to further testing and analysis. For the twenty-six men and boys who received the broccoli sprout extract in pill form, half of them showed improvement — with some showing significant improvement in areas such as social interaction, verbal communication, and behavior. Those taking placebo pills did not show improvement. When the patients stopped taking the extract, their previous symptoms and behaviors returned within four weeks. Since eating massive amounts of broccoli or broccoli sprouts doesn’t appear to be a helpful solution, since the amount and potency of the extract (aka sulforaphane) varies significantly within different types of broccoli, scientists and doctors will continue examining why this natural extract in pill form may be producing promising results and how it can help them learn more about the way that autism works. "linked to more than 100 genes" sounds more like no specific gene has been found yet. My guess is, that is because autism it is linked to toxins in the diet (of the parents as well as the children, and also the cows and other grain fed sources of food), rather than specific genes. My favorite toxin to target is Roundup, and you will see why below. With wheat and Soy and corn and high fructose corn syrup among other staples, 90 to 95% of the crop is now "Roundup Ready". That is a Monsanto term indicating that the crop is resistant to Roundup (an herbicide) so that farmers can spray the field after the crop has begun to grow to kill weeds and not kill the crop while it is growing. Their sales have skyrocketed with each new Roundup Ready crop they have genetically modified. Before modification, farmers could only use Roundup to clear the field of weeds before they planted the crop. Monsanto also did all of the research into the safety (to humans) of Roundup which almost has the status of GRAS (generally recognized as safe) leaving it substantially unregulated. Independent research has found it to be an endocrine disrupter. The increase in various conditions, including autism, is statistically identical to the increase in sales of Roundup. I am thrilled that you are studying autism (I have an autistic niece) and hope you are looking here as to why gluten-free seems to be linked now and not two or three generations ago. If we were going to look for the next line of treatment for symptoms of autism, broccoli sprout extract might not be very high on our list of remedies -- until now. A small recent study that involved 40 men and boys with autism who were treated with broccoli sprout extract showed promising results and will lead to further testing and analysis. For the twenty-six men and boys who received the broccoli sprout extract in pill form, half of them showed improvement -- with some showing significant improvement in areas such as social interaction, verbal communication, and behavior. Those taking placebo pills did not show improvement. When the patients stopped taking the extract, their previous symptoms and behaviors returned within four weeks. Since eating massive amounts of broccoli or broccoli sprouts doesn't appear to be a helpful solution, since the amount and potency of the extract (aka sulforaphane) varies significantly within different types of broccoli, scientists and doctors will continue examining why this natural extract in pill form may be producing promising results and how it can help them learn more about the way that autism works.